Award-winning artist Molly Hashimoto captures birds through different media, from quick sketches with pen and wash to more carefully planned block prints. Each medium has a unique way of revealing different avian qualities--elegant lines or imposing silhouettes, a delicate bill or brilliant plumage. 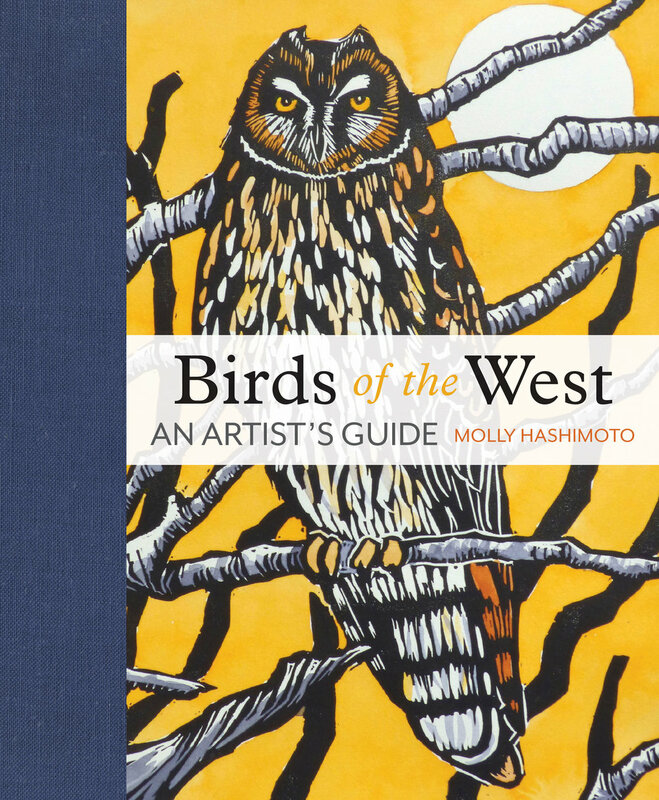 In Birds of the West, Molly shares this range of artwork as a way to encourage readers, whether artists or not, to observe more closely the feathered friends around us. Through her art and words, she explores specific Western habitats providing the natural histories of birds typically found in each, as well as intimate personal encounters and inspiring passages from others. And she teaches painting, drawing, and printmaking methods throughout the book with technique sidebars designed for all levels of experience.